Put it down to human intervention, global warming, introduced species… whatever the reason, Australia is on the verge of losing these endangered species in the very immediate future… what can be done?? 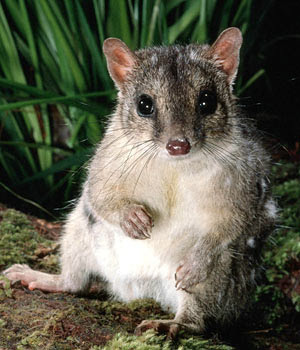 Northern Quoll ... a rapid decrease in northern quolls in recent years has been due to the spread of the cane toad into areas where they live, the World Wide Fund for Nature (WWF) says. It points to a study in Kakadu National Park that found the species were completely gone from sites where cane toads had recently arrived. 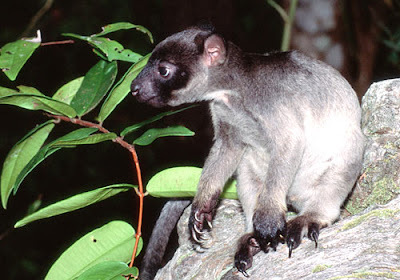 Lumholtz Tree Kangaroo ... climate change could lead to reduced rainfall and increased temperatures in Australia. These changes will exacerbate existing threats to kangraoos, such as through changed fire patterns, the WWF says. The main threat to the Lumholtz tree kangaroo is clearing of their Queensland rainforest habitat, but this has lessened with the declaration of the Wet Tropics World Heritage Area. Leatherback Turtles ... scientists are looking at what the possible impact of rising sea levels will be on leatherback turtles. 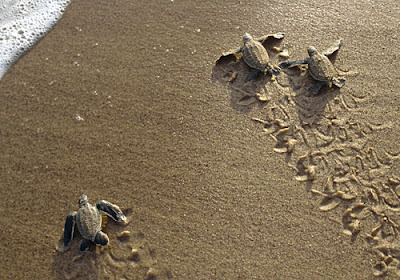 Many turtles lay their eggs in beach sand and return to the exact same spot as adults to lay their own eggs. Green and Golden Bell Frog ... 21 per cent of the world's frog species are critically endangered or endangered, compared to 10 per cent of bird species and 5 pre cent of mammal species. 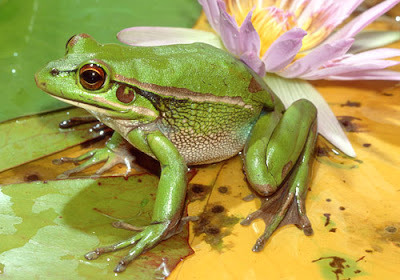 The green and golden bell frog was once one of the most common frog species in southeast Australia but is now a threatened species. Gouldian Finch ... Gouldian finches may have spread around the world as pets but less than 2500 adult finches remain in the wild, the WWF says. 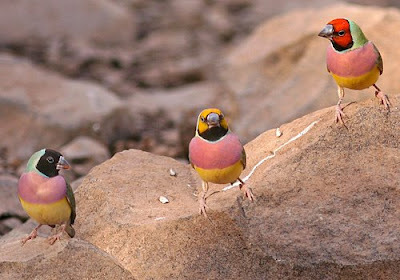 The remaining wild finches are broken up into isolated flocks of less than 100 birds each in northern Australia. Black-Footed Rock Wallaby ... when Europeans first arrived in Australia there were 53 species of macropods (kangaroos and wallabies). 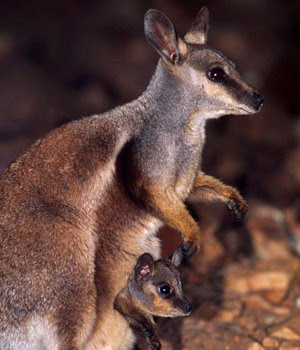 Now, six of those species are extinct and 23 are threatened, like the black-footed rock wallaby, according to the WWF. "These beautiful creatures are now threatened with extinction, facing dangers such as habitat loss, introduced cat and fox predators, altered fire regimes, and now climate change - both of which diminish their habitat range," the WWF's Kat Miller says. 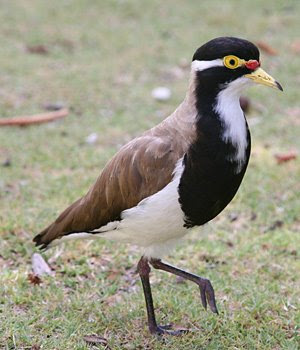 Banded Lapwing ... the number of banded lapwing reportedly dropped by 98 per cent between 1983 and 2006. These wetland waders live in southern parts of Australia and need it to rain for them to be able to breed. 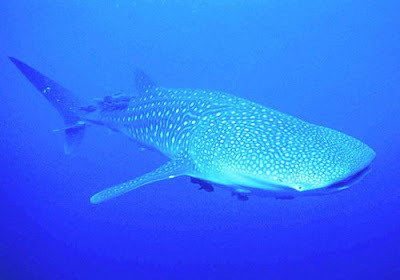 Whale Shark ... this shark dates back to the Jurassic and Cretaceous periods of 245-65 million years ago. Despite this longevity as a species it is listed as a vulnerable species. It is not known where whale sharks breed and only one pregnant whale shark has ever been recorded, the Department of Environment says. 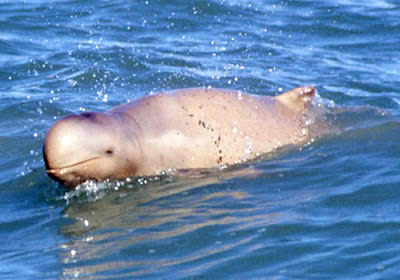 Snubfin Dolphin... in 2005 a new species of dolphin was found in Australian waters, the Australian snubfin dolphin. The discovery of a new mammal is extremely rare and scientists are now studying it to ensure it is not lost. 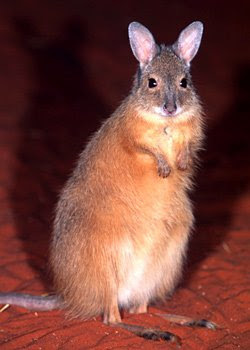 Rufous hare wallaby ... these little critters were once common in central and western Australia. But a combination of predators, hunting and a loss of habitat means they now only survive on two islands off Western Australia and are classified as endangered. Malleefowl ... the population of malleefowl is thought to have decreased by about 20 per cent. 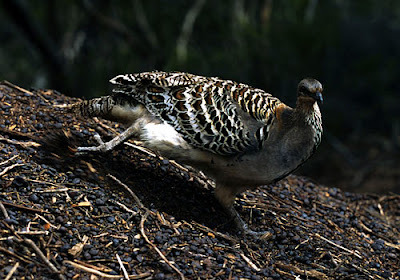 The WWF considers mallefowl Malleefowl particularly sensitive to climate change as they have very specific habitat requirements and low mobility and because they avoid breeding in dry years. 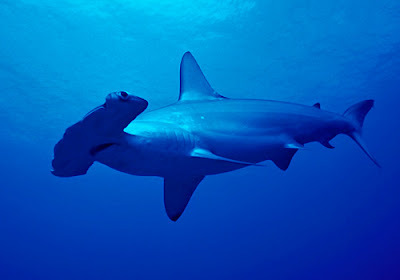 Hammerhead Shark ... in the northeast Atlantic Ocean 89 per cent of hammerhead sharks sharks have disappeared over the last 18 years as a result of fishing. These stunning sharks are also found in Australian waters. 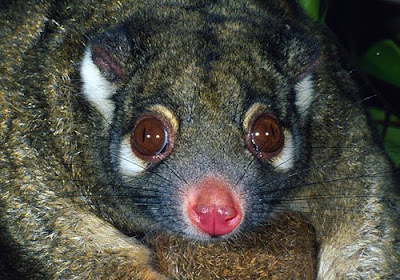 Green Ringtail Possum ... this marsupial lives in a tiny pocket of northeastern Queensland, between Paluma and Mt Windsor Tableland. 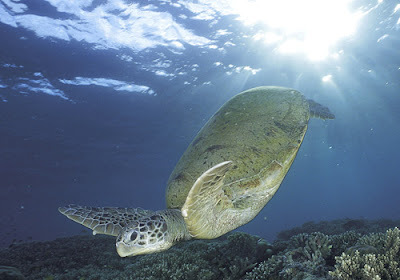 Green Sea Turtle ... these turtles face threats from hunting, destruction of habitat and hunting. As an endangered species it is illegal to kill or harrass them. 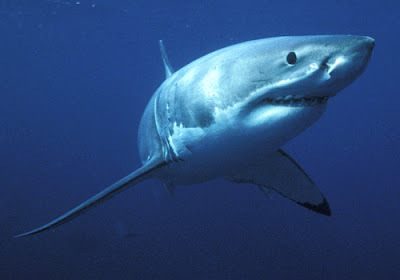 Great White Shark... these sharks are listed as an endangered species and have long been a target for trophy hunters. Any attempts to get their population to rise will be hampered by their slow reproduction rates, with sexual maturity occurring at about 12-15 years of age. 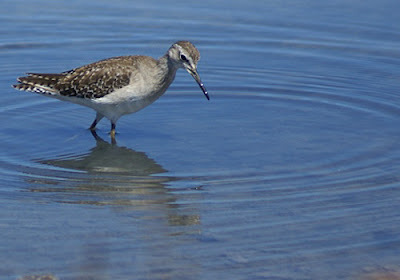 Wood Sandpiper ... migratory birds like the wood sandpiper can be affected by climate change with altering weather conditions affecting the timing of suitable windows for breeding. 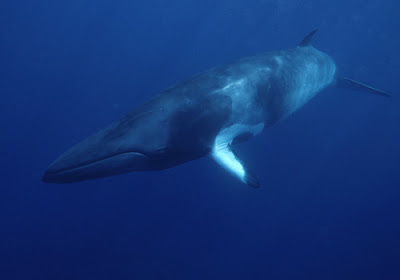 Dwarf Minke Whale... it's not only whaling which threatens these creatures but changes in ocean temperatures may effect the krill which they feed off. 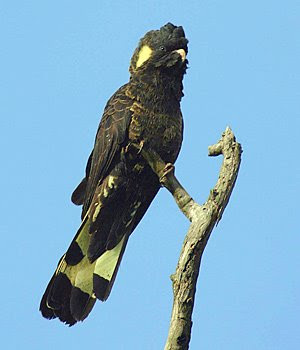 Carnaby's Black-Cockatoo ...a number of threats have contributed to the decline in population numbers of these West Australian birds including habitat loss and competitive species. Exact poulation numbers are unkown, the WWF says, but it is known that their numbers have declined by over 50 per cent in the past 45 years. Im very afraid its actually not only the case in Australia, but al over the world.